Israel hopes to grow tourism in the Negev to 20% of the nation's total by 2021. Israel has already been credited with making the desert bloom. Now it hopes to make it boom -- with tourists. In addition, a new international airport is rising from the desert floor 18 kilometers (11 miles) from the Israeli Red Sea resort of Eilat and the neighboring Jordanian port of Aqaba. Arrivals to the country of about eight million citizens hit a record 3.6 million last year, the Israeli tourism ministry said. The ministry says that it now seeks to grow the Negev's share of total Israeli tourist revenue from the present five percent to 20 percent within two to three years. It also aims to increase the number of Negev hotel rooms from 2,000 to about 5,000 within six to seven years. Activities include hiking, biking, rock climbing, abseiling and dune surfing -- akin to snowboarding on sand. Hannah and Eyal Izrael have planted vineyards on terraces where Nabatean farmers cultivated vines 2,000 years ago. 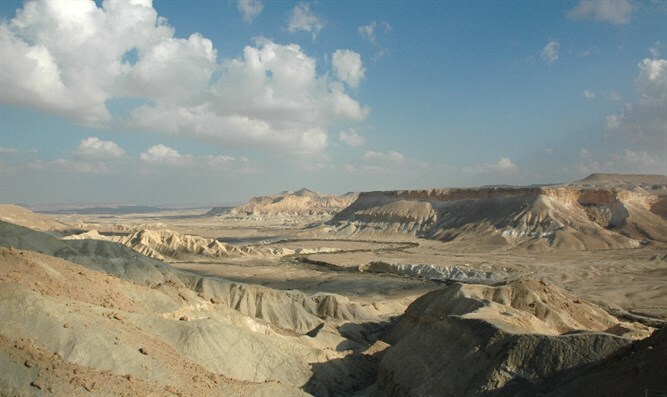 Not far from Carmey Avdat is the town of Mitzpeh Ramon, which stands at the edge of the Ramon Crater. There, travelers after tranquility with a luxurious twist can go "glamping" -- glamour camping -- in luxury tents with hot showers and a personal chef. The new Ramon Airport will bring jumbo jets from around the globe to the desert itself. Its website says that it will be able to initially handle up to two million passengers annually, but will be able to expand to a capacity of 4.2 million by 2030. The IAA says the original specifications for the project were revised in light of lessons learned during the 2014 Gaza war: After a rocket fired by Hamas militants in Gaza hit near the perimeter of Tel Aviv's Ben Gurion International Airport, international carriers suspended flights. "In an emergency, not only will Israel's entire passenger air fleet be able to land and park there, but also additional aircraft," he said.